At 0116 hours on October 3rd, 2013, officers of the Muskegon Police Department were dispatched to a residence in the 800 block of E Forest Ave, on a report of a Home Invasion and Sexual Assault. Officers were provided with a description of the suspect who fled the scene. Officers arrived on scene to meet with the 21 year old victim, her boyfriend and roommate. The victim and witnesses were able to provide Officers with crucial information that allowed for a quick location and apprehension of the offender. The victim did not require medical attention. Officers located the offender, EDWARD CAUSEY Jr of Muskegon, in the 1000 block of E Forest Ave. CAUSEY was then positively identified by the victim and witnesses as the person who broke into their home and sexually assaulted the victim. 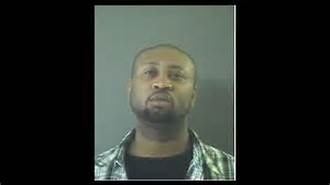 CAUSEY was subsequently lodged in the Muskegon County Jail on Home Invasion and Criminal Sexual Conduct charges. CAUSEY, a black male, 33 years of age, is listed as 5’10” tall, weighs approximately 185 lbs., and has black, short cut hair, and brown eyes. CAUSEY also wears a goatee. CAUSEY is a person of interest in several similar Home Invasions and Window Peeping incidents. An on-going investigation is being conducted by Detectives of the Muskegon Police Department. If anyone has any information regarding EDWARD CAUSEY Jr, Window Peepings, or Home Invasions where the suspect targets female victims is asked to please call the Muskegon Police Department Tip Line at 231-846-8477 (TIPS) or Silent Observer at 231-722-7463.